After a disappointing performance in Monza two weeks ago where only one SK Gaming Racing Player was able to compete, is it a new chance for everyone today in Japan. Especially Niklas 'Sliver' Timmermann is looking forward to another succsess in his division. SK's Need for Speed legend, managed to win his very first VRTCC race previous month in Imola but was penalized in the second race as he was involved in some unlucky incidents. Therefore Sliver was banned from Round 8 in Monza and had to wait patiently for the upcoming race tonight. Only Danny 'HuskY' Engels participated the last race for SK and found himself in the midfield of division one and showed a more or less disappointing performance. With two races to go HuskY is still fighting for some championship titles, but his chances of winning the driver championship decreased with his previous result. 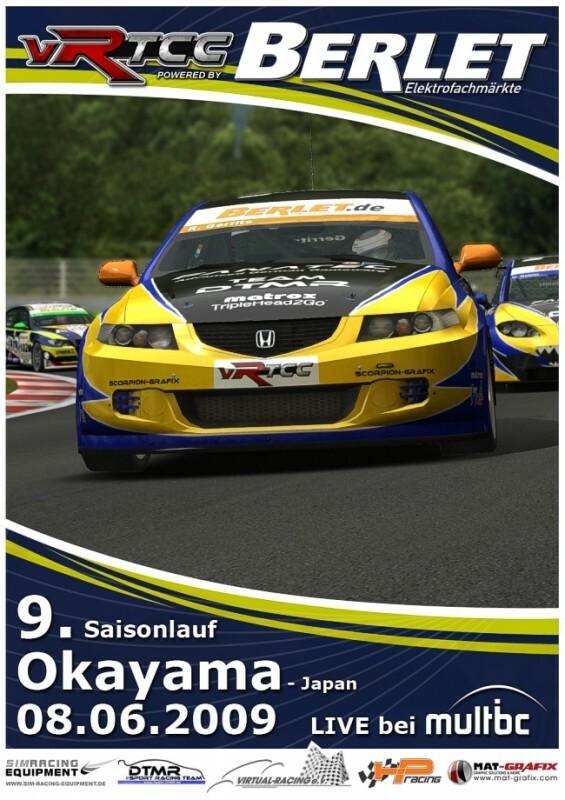 There are still small chances though and he is furthermore leading the rookie championship as well as he has good chances to win the best performance prize of this year's VRTCC. It is the second to last race of the fifth VRTCC season tonight, but you can still expect great racing and everything LIVE broadcasted by MultiBC (german) tonight 20:30CET.